It's always been said that fragrances are more about emotion than the actual scent itself. Spritzing on your favourite perfume is a sensory experience- yes, it may smell pretty, but the biggest impact is on the emotions that scent evokes. The focus of fragrance is how it makes you feel. We swap and change our perfumes with the seasons, picking something lighter and floral during spring, and perhaps more sensuous and mysterious during winter. This is because we choose our scent based on our moods and how we want the fragrance to make us feel. 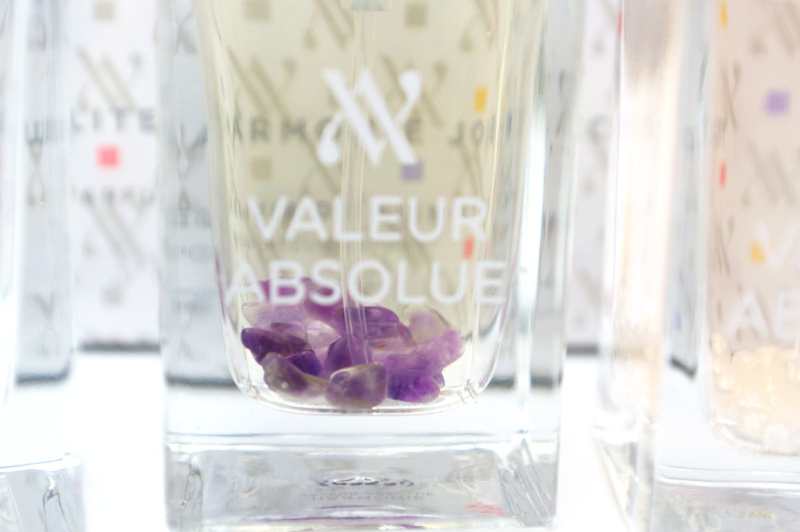 Valeur Absolue is a brand which capitalises on this emotive connection to the good-smelling stuff, creating an interesting range of perfumes designed to fit with and even change our mood. 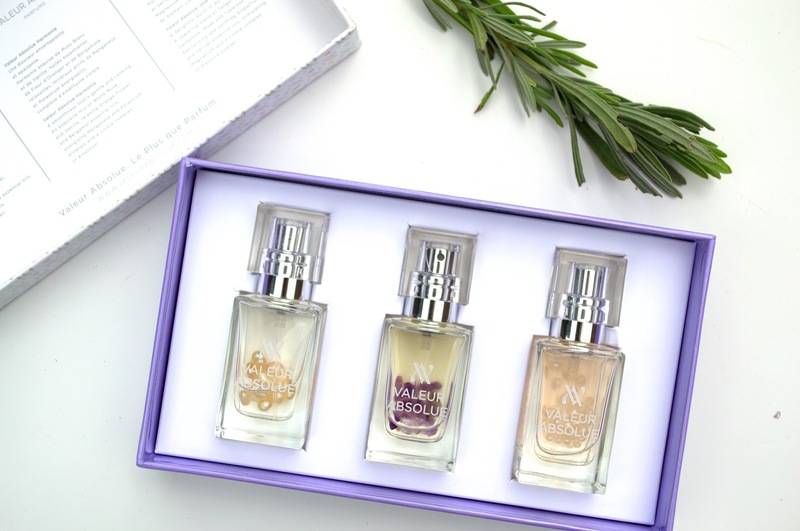 Created by French businesswoman Bénédicte Foucart, the range of six different perfumes is designed to connect a multitude of emotions to the busy lives of modern women. Confiance, vitalité, sérénitude, joie-éclat, sensualité and harmonie all connect with different emotions that we are supposed to feel when we wear perfume; some make us feel confident, some are more uplifting, whereas some evoke more sensual connotations. The collection separates the sensory experience into bite-size chunks that we can easily relate to; you'd know exactly which to go for if you fancied wearing something more relaxing. It's an innovative and interesting concept that is very much welcomed into the world of perfume; we all know how scent and emotions are linked (just take a look at perfume adverts), so why not approach it with a straight-forward attitude? Whilst the perfumes certainly seem to have a very self-explanatory approach to moods, this does not in any way detract from the quality of the products. Each perfume is handmade in France and the delicate glass bottles not only house the high-quality formula, but a handful of small, semi-precious stones. The inclusion of these stones, in my opinion, step these perfumes up from something good to something simply spectacular. It's innovative, different and certainly captivating. Each stone has been chosen to embody the fragrance within its bottle, reflect the emotion and serve a practical use by enriching the perfume formula. It's a luxurious, stunning addition to the already high-quality perfumes, and makes each emotion even more unique. 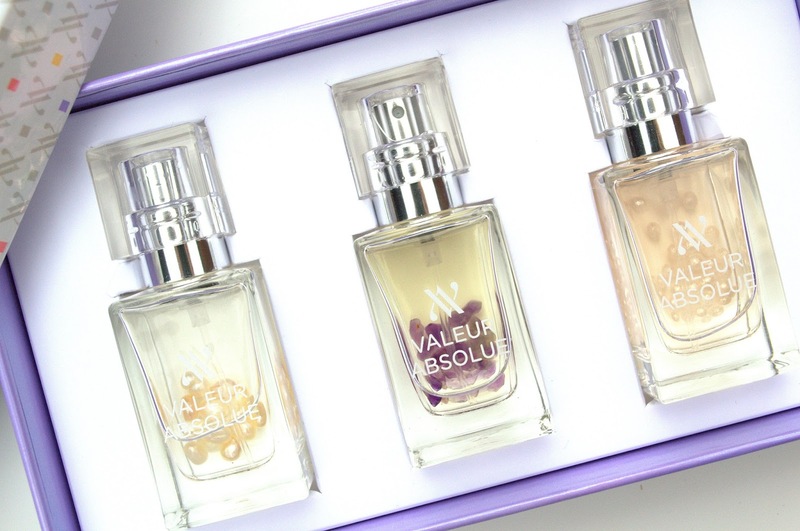 Whilst I haven't tried confiance, vitalité or sérénitude, I received Valeur Absolue's 'Emotions' perfume set- a cute box featuring smaller versions of the other three emotions; joie-éclat, harmonie and sensualité. They are a wonderful size (perfect for popping in your handbag) yet are bold enough to look majestic and elegant on your dressing table. Not only do they look the part, but the formula has the wow-factor too. Sensualité has a mysterious blend of cedar wood, amber and musk with gorgeous, light rose and jasmine oils mixed within. Harmonie contains white musk, vanilla and orange flower- a blend which smells smooth and calming. Lastly, joie-éclat (perhaps my favourite) boasts an uplifting mix of tangerine, cardamom, musk and grapefruit; a very light blend which is supposed to represent a "burst of pure happiness". I think this set is the best way to try out the range; the whole vision is about building fragrance around mood, so having a few smaller bottles allows you to swap and change your scent according to how you are feeling. 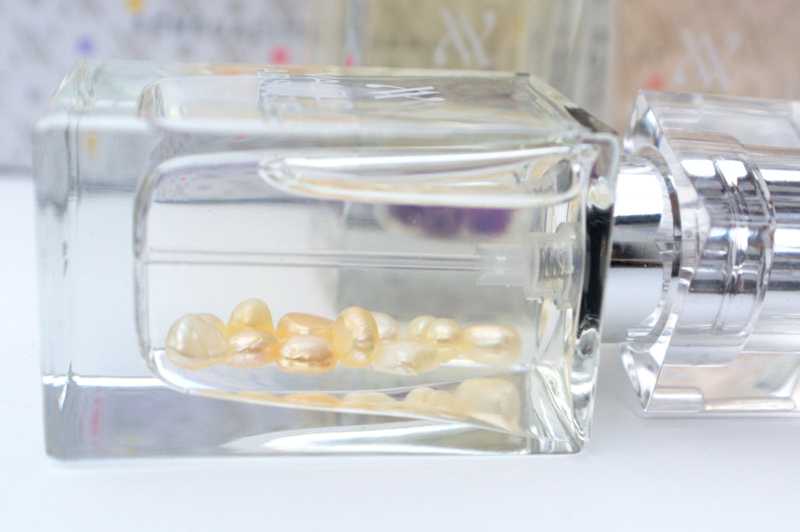 All three are beautiful and very easy to wear on a day-to-day basis...I've totally fallen in love with them. 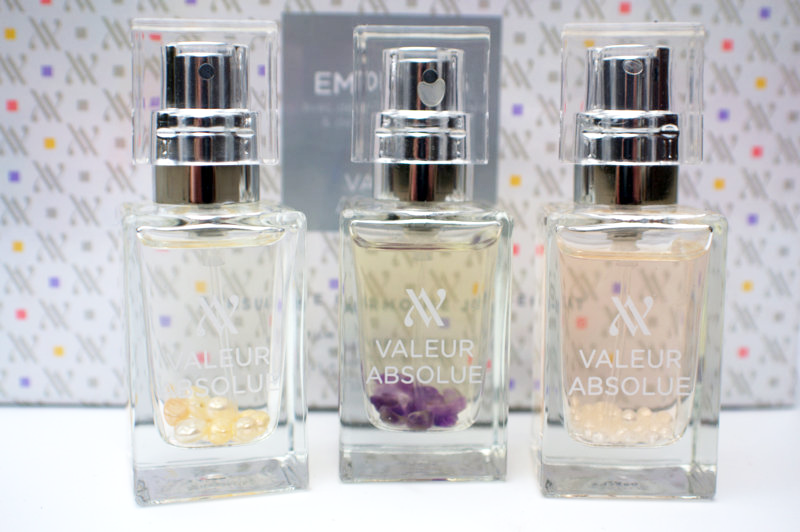 Everything from the emotion-based concept, to the fascinating use of semi-precious stones, Valeur Absolue have got me excited about perfume again! What do you think of this concept of fragrance and emotion? Is it something that grabs your attention?